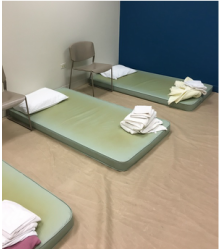 As a set up volunteer you will be responsible for transforming our locations into overnight shelters by setting up the sleeping areas, the dining area, and the registration desk. As our clients enter the PADS Sites they are greeted by first shift volunteers. 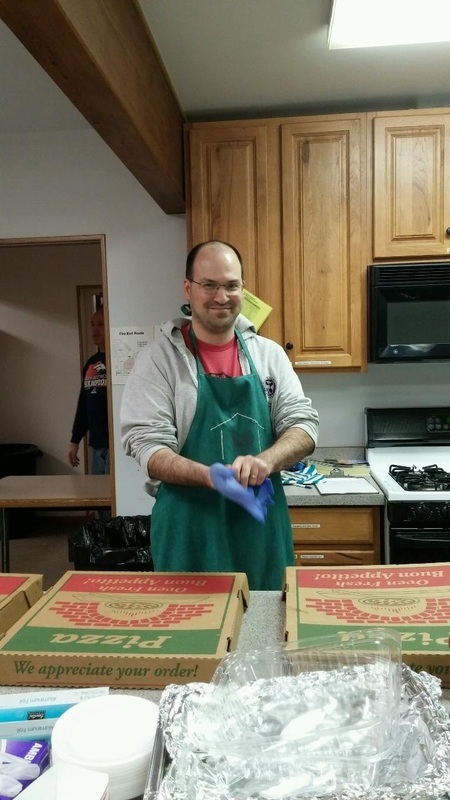 These volunteers serve dinner or register guests. 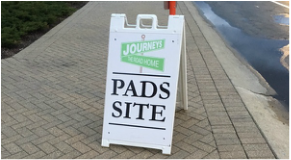 As a first shift volunteer you are responsible for making sure our guests feel welcome at the PADS Site.First shift volunteers typically arrive at their PADS location at 5:30 p.m. and leave at 11:00 p.m.
As the night progresses our volunteer shifts change. Second shift volunteers are responsible for maintaining the intake desk, admitting late arrivals, preparing lunches for the next day, and monitoring the site. Second shift volunteers typically arrive at 11:00 p.m., and leave at 3:00 a.m.
​male and female team at each site. Our most needed position is third shift. Volunteers in this position maintain the intake desk, awaken guests, and prepare and serve breakfast. Third shift volunteers arrive at 3:00 a.m. and leave at 7:00 a.m. This position requires a male and female team, and is highly needed throughout the PADS season. Once the night is over volunteers are needed to wipe down and put away pads, pillows, tables, and chairs. These volunteers are essential to making sure the PADS site is restored back to its original form. The clean up shift begins at 6:00 a.m. and ends at 7:00 a.m.